Born and raised in England, Esther De Bertdt Reed sailed for Philadelphia in the fall of 1770 and became an ardent American patriot after living in the colonies for only two years. In the fall of 1779, her husband Joseph Reed became governor of Pennsylvania. As a wealthy lady of status in Philadelphia, Reed sought to use her rank for good and on June 12, 1780, filled with republican fervor, penned “Sentiments of an American Woman.” Reed hoped the broadside would rouse her fellow women to participate in the Revolutionary cause. With a small army of her own, Reed led the charge in a door-to-door fundraising campaign. Originally, the women planned to distribute all funds raised directly to the troops, for the soldiers to do with as they sought fit. However, after a conversation with General George Washington, Reed was persuaded to instead to use the funds to provide clothing for the soldiers. Quite suddenly, Reed died on September 18, 1780, at the young age of 34. The daughter of Benjamin Franklin Sarah Franklin Bache took over Reed’s position at the Ladies Association and saw the completion of more than 2,200 shirts for the troops. “Sentiments of an American Woman” was written by Esther Reed in order to rouse her fellow women to contribute in the Revolutionary cause. Reed’s tract summoned her female peers to fulfill the promise they made at the outset of the war, asserting that women were “animated by the purest patriotism, born for liberty” and authoritatively dismissing the notion that women were not patriotic or political beings. The broadside harkened back to women of the past who had proved the merit of their patriotic contributions by such actions as the boycott of British goods. This precedent of women’s political activism called forth fellow Philadelphia women of status into action. As a result, dozens of women responded to Reed’s call, forming the Ladies Association of Philadelphia, a group of upper-class women who led a door-to-door campaign raising money for Washington’s Continental Army. Philadelphia was a center of patriotic fervor and activity during the American Revolution. Many of its residents, including women, participated in the war for independence by providing material and moral support for the “patriot” cause. 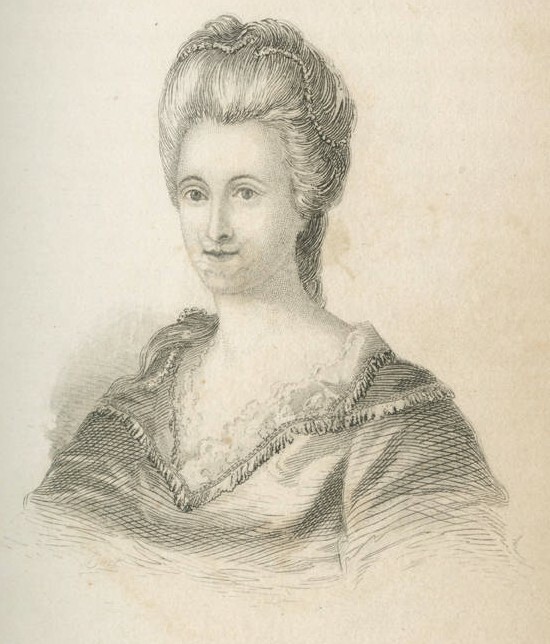 On June 12, 1780, one such Philadelphian, Esther De Berdt Reed (1746-80), penned a broadside entitled “Sentiments of an American Woman” in order to rouse her fellow women to participate in the Revolutionary cause. As a result, dozens of women responded to Reed’s call, forming the Ladies Association of Philadelphia, a group of upper-class women who led a door-to-door campaign raising money for Washington’s Continental Army. Through their efforts, the Association “ladies” came to recognize their essential role in winning American independence. Reed’s tract summoned her female peers to fulfill the promise they made at the outset of the war, asserting that women were both “animated by the purest patriotism” and “born for liberty,” authoritatively dismissing the notion that women were not patriotic or political beings. The broadside harked back to women of the past who had proven the merit of their patriotic contributions, providing a precedent for women’s political activism. Compelling her female compatriots to aid the suffering of the soldiers, Reed reminded Philadelphia’s women how they, along with women across the colonies, had participated in the boycotting of teas, as well as spinning bees, both feats of female political activity performed in the name of the American cause. The “offering of the Ladies,” Reed averred, was nothing new; indeed, she was merely impressing upon her audience the need to reaffirm the commitment they had already made to the Revolution. Just three days after the Pennsylvania Gazette published the broadside under the title “Sentiments of an American Woman,” more than thirty women gathered to discuss the best way to aid the Revolutionary troops. After a productive meeting, the newly formed Ladies Association of Philadelphia published its notes, which appeared in newspapers across the British colonies. Members similarly wrote letters to their acquaintances in neighboring colonies suggesting that they imitate the efforts of the LAP. Sarah Franklin Bache (1743-1808) followed suit and wrote letters to her female friends soliciting their assistance, and women in New Jersey and Maryland copied the Ladies Association of Philadelphia model in their own fundraising efforts.Working independently and without the assistance of men, the Association collected more than $300,000. Though the group originally desired that the funds be distributed directly to the soldiers as remuneration for their patriotism, Washington desired that the funds be used to purchase materials for and manufacture clothing which the Continental Army needed desperately. Washington thanked the Association for the group’s contribution to the cause of liberty, and one soldier composed a poem in the women’s honor, recognizing “the patriot females who their country save.”The work of the Ladies Association of Philadelphia became a model of political activity for women in the years of the early republic. Most importantly, these Philadelphia women proved their mettle, took the initiative to participate in the American cause, and recognized their essential contribution to the colonies’ ultimate victory. Jacqueline Beatty is a Ph.D. student in the Department of History and Art History at George Mason University. Berkin, Carol. Revolutionary Mothers: Women in the Struggle for American Independence. New York: Random House, 2005. Kerber, Linda K. Women of the Republic: Intellect and Ideology in Revolutionary America. Chapel Hill: The University of North Carolina Press, 1980. Norton, Mary Beth. Liberty’s Daughters: The Revolutionary Experience of American Women. Ithaca: Cornell University Press, 1980. Reed, William B. The Life of Esther De Berdt, Afterwards Esther Reed, of Pennsylvania. Philadelphia: C. Sherman, 1853. Zagarri, Rosemarie. Revolutionary Backlash: Women and Politics and the Early American Republic. Philadelphia: The University of Pennsylvania Press, 2007. 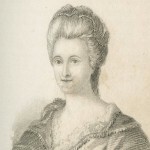 Sarah Franklin Bache papers 1768-1807 (Mss.B.B1245), American Philosophical Society, 105 South Fifth Street, Philadelphia. Joseph Reed papers 1741-1785 (BV Reed, Joseph), New York Historical Society, 170 Central Park West, New York, NY. George Washington papers (MSS44693), Library of Congress, 101 Independence Avenue SE, James Madison Building, Room LM101, Washington, D.C. The Library Company of Philadelphia, 1314 Locust Street, Philadelphia. Franklin Court, between Third and Fourth Streets on Market Street, Philadelphia. Thanks for your research and article. You’ve added resources that I haven’t seen before. Esther de Berdt was a courageous and inspiring woman in those times as well as for these times. grave is in Laurel Hill. It was originally in old city Phila. Happy to have your article to share with my granddaughters, her 6th great granddaughters!